Hidde van Kersen brings over 20 years of management experience in non-profit organisations and corporate-NGO partnerships. , cocoa, tea, coffee, sugar, soy and palm oil. The natural resources in our food supply chain are growing scarce. It makes good business sense to secure future supplies by implementing more sustainable practices. Market demand for responsible food products is growing undeniably. Consumers want to know what is in their food, where ingredients come from and what the impact of food brands is on communities and the environment. To protect your brand, you need to know what is in your product. Do you know all the raw materials in your supply chain? And where these ingredients come from? To sustain your business in todays markets, you want to be assured your brand cannot be linked to deforestation, overfishing or poor labor conditions. Hidde van Kersen helps you to identify and assess sustainability issues and risks in your supply chain and to implement a responsible sourcing strategy. Mapping your materials to their origin is very powerful. It’s the evidence underpinning your responsibility claims, giving you a valuable competitive advantage. Make impact with your choices. Select the certification schemes relevant for your business and your stakeholders. And let your sourcing strategy strenghten your CSR and marketing propositions. 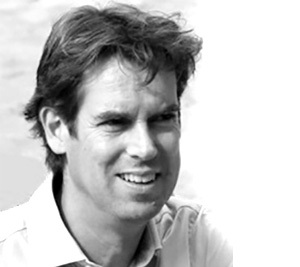 Hidde van Kersen has experience in a wide variety of supply chains, ranging from European fisheries [projects] to tropical plantation crops [projects] and African savannah fruits [projects].